One of Australia’s leading café and pizza franchising groups, Retail Food Group es expecting further poor results. The group expects FY18 underlying NPAT (Net Profit After Tax) to be approximately $34.5 million and the statutory NPAT to be a loss of $87.6 million, which consider substantial impairment charges the group suffered at the end of 2017. In May 2018, Richard Hinson was appointed to step in to replace the former managing director after joining the company in January 2018 to lead a strategic review of the business. 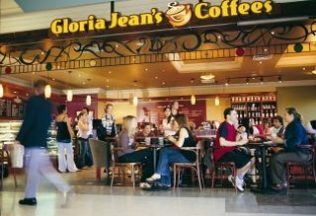 RFG, which operates food franchises such as Donut King, Gloria Jean’s Coffee and Pizza Capers, Crust Pizza and Michel’s Patisserie, was previously accused of forcing franchisees to the wall financially by charging exorbitant franchise fees along with excessive marketing and food costs for low quality products. It was also alleged that RFG offered limited support to franchisees. RFG previously revealed plans to close up to 200 outlets. “Trading conditions in food retailing continue to be tough. The actions we are taking in collaboration with franchisees are starting to see a positive response,” Hinson says. RFG is one of several franchise networks, including 7-Eleven, Domino’s Pizza and recently Red Rooster and Oporto’s parent company Craveable Brands, to be accused publicly of mistreating franchisees or similarly underpaying staff. A federal parliamentary inquiry into the franchise sector is now underway in response to the string of allegations across several companies.